The history of the economic contacts between Asia and Europe dates back to at least the early years of the Common Era. But it was only after the overcoming of the transport technology barrier to the growth of trade between the two continents following the discovery by the Portuguese at the end of the 15th century of the all-water route to the East Indies that these contacts became regular and quantitatively significant. The Portuguese were joined at the beginning of the 17th century by the Dutch and the English East India companies. The Europeans operated in the Indian Ocean alongside the Indian and other Asian merchants with no special privileges being available to them. 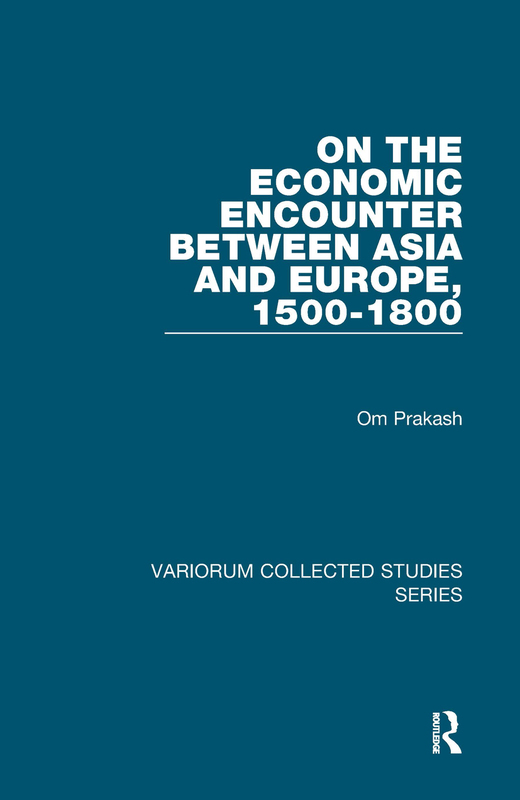 The present collection of essays by Professor Om Prakash first deals with the Indian merchants’ participation in the Indian Ocean trade on the eve of the Europeans’ arrival in the Ocean. The subsequent essays include a discussion of the Portuguese involvement in the Euro-Asian and the Indian Ocean trade. Attention is then turned to the trading activities of the Dutch and the English East India companies. The volume also contains essays on textile manufacturing and trade as well as on coinage and wages in India. The concluding essay deals with trade and politics in the province of Bengal. Contents: Introduction. Euro-Asian Encounter: Euro-Asian encounter in the early modern period. India in the Indian Ocean Trade: India in the Indian Ocean trading network on the eve of the Europeans’ arrival in the Asian seas. European Trading Enterprises: (a) The Portuguese: Asian merchants and the Portuguese trade in Asia; The economic dimension of the Portuguese enterprise in Asia; Cooperation and conflict among European traders in the Indian Ocean in the late 18th century; (b) The Dutch: Financing the European trade with Asia in the early modern period: Dutch initiatives and innovations; 17th-century India as seen by the Dutch; (c) The English: The English East India Company and India; (d) The Dutch and the English: Alternative trading strategies: the Dutch and the English East India Companies in Asia, 1600-1650. European Private Traders: European private traders in the eastern Indian Ocean trading network in the early modern period; English private trade in the western Indian Ocean, 1720-1740. Textile Manufacturing and Trade: Bengal textiles in 17th-century international trade; From negotiation to coercion: textile manufacturing in India in the 18th century. Long Distance Trade, Coinage and Wages: Long distance trade, coinage and wages in India, 1600-1960. Trade and Politics in 18th-Century Bengal: Trade and politics in 18th century Bengal. Index. Om Prakash is Professor of Economic History at the Centre for Development Economics, Delhi School of Economics, India.